The first woman that I spoke to is trying to support her children on effectively a zero income. She was forced to claim Universal Credit for the first time and was told eight weeks ago that she would recieve a payment at the end of last week. She didn’t and she’s tried phoning the DWP, has left messages in her DWP online account but NO ONE has responded. She’s at her wit’s end, and she feels like she’s in limbo. To say she is feeling defeated is an understatement. She’s done everything right but the system doesn’t regard this. It also doesn’t take into account that she has children. she’s just another number on their computer generated list. Taking human interaction away from a person making a claim was never going to work. A computer can’t sense the urgency of any situation and they make mistakes. You simply cannot provide people with the help and support that they need. I feel that this was done purposely to put people off from claiming the social security that they quite rightly deserve. We had a long chat and I referred her to local organisations. She told me that she’s not ready for that yet, she feels that she’s letting people down. I hope to encourage her to do so. I gave her a couple of food parcels and a hug. I spoke to a man that is struggling with the computer based system. He had never used a computer before trying to apply for Universal Credit in his life. He knows that he’s failing but feels powerless to change that. 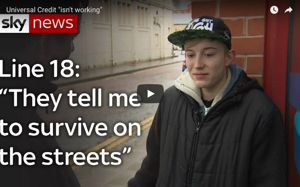 He also has no mobile phone and the DWP send appointments via mobile phone messages now. Today he was attending his appointment and asking his advisor if his appointments can be sent to his partners telephone. I also advised him to stress the point that he has no computer access at home and is computer illiterate. They cannot continue to assume that everyone has access to a computer or has computer skills, it’s ridiculous. Trying to feed yourself is priority not trying to get a computer from places such as Brighthouse and become encompassed in a never ending circle of debt. We, as society need to bring this back up in conversation, it’s important. People are going hungry because they either haven’t got a computer device or the knowledge of how to use the internet. If they don’t use the computer system the reality of being sanctioned is very high yet they offer NO help with computer skills. It’s almost as if they want the most disadvantaged to fail at the first hurdle isn’t it. We spoke to a woman that has a great deal of knowledge about the DWP system. She worked as a councillor listening to and helping people in a nearby town. She told me that she saw a massive increase in the numbers of people needing her Council Long services. More and more people of both sexes are feeling suicidal, depressed and can’t cope. Thanks to her dedication and hard work she helped people forced to live in extreme poverty. I can’t respect her and everyone else that does this very hard job enough. They work extremely hard and save life’s. Unfortunately the government likes to strip away funding from these services and getting an appointment to see a councillor usually results in a very long wait. I spoke to a woman that was leaving the Jobcentre. She told me that she was sick and tired of being treated with disrespect, her words were ‘being treated like dirt’. She’s correct, no one should be treated like this, everyone deserves to be treated with respect. I spoke to a man that had been told to upload his CV onto the DWP system. He has hardly and computer skills and his family have few also. I signposted him to where he can get help and also advised him to inform the DWP that he doesn’t have the computer skills required. Will the DWP listen? I doubt it, but he needs to do this. I spoke to a WASPI lady that was struggling to understand that she won’t receive her pension until shes older. It’s hard for her to understand and she’s angry. Of course she is they literally robbed these women of their pensions. I signposted her and gave advice. An older man muttered to me as he was leaving that he felt like he had just left boot camp but not a nice one. Yep it feels like that. I gave advice to a man starting on the Workprogramme in the next week. He went off to do some research as I suggested. People need to know their legal rights and obligations Knowledge is power. I spoke to an older man struggling with the Universal Credit system. He had to give up work due to illness and he told us that he hasn’t got a clue what he’s doing and how to cope. We advised and signposted him. We spoke to a man that has found employment after eight years of job searching. It’s manual work and he is very happy at this. But it took him eight years to find this work. Please don’t tell me that there are plenty of jobs available and it’s easy to find work. It isn’t. We spoke to a landlord that is worried about his tenants rent payments. His tenant has been switched over to Universal Credit and they aren’t recieving any rent for them now. 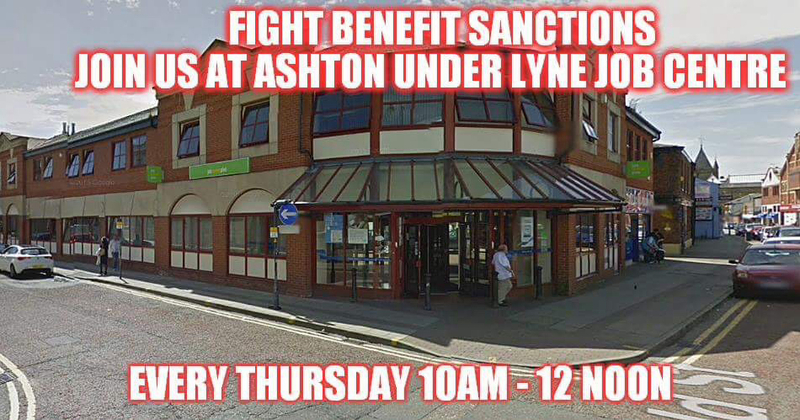 Sadly this is what happens under the Universal Credit system. Whilst awaiting a first payment you can’t receive housing benefit. This is causing mass homelessness, huge rent arrears and decent, caring landlords are suffering. This needs to change as a matter of urgency. No one deserves to loose their home because of the governments incompetance in looking after the most vulnerable. This is only a snapshot of what happens on Thursday mornings, we are very busy. Can you imagine how many people around the country are suffering on a daily basis? it beggars belief. Please support this campaign and others like it. People need urgent help. Our food parcels were taken in a matter of minutes, this is heartbreaking. All foodbanks are struggling and children are going hungry. It’s not acceptable. Please support, share rt, share and email my blog. It’s important to share the real stories and the reality of the situation. Thank you to everyone that already does. You are my heroes. We will be back again next week to do some more. I am expecting the dwp mainframe going into meltdown. Nice to meet the team Charlotte and all . All the very best for the 1819 Peterloo Protest on 19 August . I believe some people are marching in from Mossley?